— Agent – a person or business authorized to act on another’s behalf. — Change – to make the form, nature, content, future course, etc., of (something) different from what it is or from what it would be if left alone. Does change just happen? No, it does not. In every instance when one form, substance, situation or relationship experiences change it is due to something else coming in contact with it. My question to you is this: is anything changing for the good because of you? This is important to examine because that is why we are here. Jesus told Simon Peter to “Feed my sheep”; but this was not for him alone; it is for everyone that will pick up the title of Believer through faith in our Lord. — Do I make a difference? — Am I part of the problem or solution? The answers to these questions can only be answered by each individual and even then we may need revelation from the Lord to answer truthfully. However, the answer to each should point to us being a light in a very dark place for the Glory of the Lord! If we understand properly, we must be willing to do what we have been waiting for God to do. Instead of praying for the Lord to “do something”, why don’t we do it! He left us here as His representatives or agents. So, in the absence of leadership, let us stand up, stop complaining, get direction from God, and show people what Godly leadership look like. In a time of the absence of real love and far too much fear, may the world be able to see us as real examples of God’s love and faithfulness. What’s great about the whole thing is that God is inside us giving the power to carry out His Will in the earth. He is with you right now and He absolutely will never leave us alone and powerless; He just wants us to stand up to be counted and say: ‘here I am…you can use me!’ God will take you right where you are and use you with whatever you have now. Don’t sell yourself short, you are the “righteousness of God” right here, right now and He is in you now. We through Christ Jesus our Lord can readily be agents of change. When we lack Godly Wisdom , we’re able to receive His Wisdom, without doubt. These are questions I’ve been asking myself – and the Lord – for the last several months. One thing I know for sure is that our gifts are given to us for the building up of the body, and not for personal consumption. You’ve given a well-framed exhortation. May many read these words and rise to the challenge! Thank you Tami. I’m pleased that this post spoke to you where you are. That is always my prayer and desire. There is more I have to say on this subject so please keep checking in for the follow-up. Blessings! Thanks for the reminder that it is not me doing the work but God in me. You’re welcome Jerry! I simply love that verse! Pastor, thank you for stopping by my blog. This is my first visit to your blog and I will be back. I found the message inspiring and challenging. God bless. You’re so welcome Pastor! Welcome to the Faith1st community and thank you for the kind words and blessing. It is my sincere desire that God will use this ministry as a means to strengthen and encourage you as many others as well! Blessings to you sir! Great message, Sebastian! And thanks for visiting my site and liking a post. Really appreciate it.Stay blessed! You’re so welcome! I truly believe that this is a message that God wants every Christian to take seriously! Have you ever wondered why Jesus asked Peter 3 times did He Love Him, we know the Scriptures tell us Peter denied Jesus’ 3 times when he was accused of being one of His disciples. The Greek word that Jesus used for Love was agape the word Peter used when he said Jesus knew he loved Him was worldly, this type of love thinks of self first, God’s Love thinks of others first , if we are to feed Jesus’ sheep our Love needs to be sacrificial like Jesus’ is, we need to put others first, to be willing to be their servant, no we may not need to wash their feet but we may need to clean up their mess or feed and provide clothes for them , or be willing to give them even our last dollar as we share the Hope we have. If you said to me Sebastian feel full on God’s provision, He feeds us abundantly Spiritually and I had not eaten for 3 days and was starving your words would have little impact but if you fed me giving thanks to God for His earthly blessing of food, then I would want to know about His Heavenly food, yes some bite the hand that feeds them … Jesus suffered so we could be feed Spiritually and we will suffer through those who are hard hearted through Satan’s influence in their lives and also in the world but God protects our soul, if we are Martyred we will live eternally with Him and will be greatly rewarded, are we ready to die for Him or is our love worldly, He will not make us Love Him and others but we can ask for His Love and when we do we will receive and then no one will need to tell us to Love as Jesus Loved or to feed His sheep, we will want to, Peter filled with The Spirit was later crucified, he did not deny Jesus again, his Love was agape. God bless you greatly Sebastian and your Loved ones now and always. Thank you Anne for such a great addition to the content of this post. It is important to understand the sacrificial nature of Godly (Agape) Love! We must understand that real love never repays for a suffered wrong but rather seeks to reconcile. The Bible tells us that “love covers”. I want to ask whoever reads this: what is your love covering to bring someone into a saving relationship with the Lord? Thank you again Anne…I love you both! Excellent word of encouragement, brother. Revival is coming; revival is here. By the Holy Spirit which the Lord has caused to dwell in us, we are carrying forward revival. Anyone interested in further thoughts and discussion on Christian Theology, see my blog: golgothawitness.wordpress.com. Thank you for your kind words! Yes, revival is here and it will sweep the land as we move forward in love and faith. I look forward to the fellowship between us. Blessings to you! Thank you. I needed this with a decision that will be coming before us. I am so happy you found me, leading me to you! I look forward to your posts!! What a blessing. You’re welcome! I’m happy you received a word when you needed it…it is a Blessing for me as well! Praying for God’s breakthrough power reaches you and your family in a mighty way! I like the picture that goes with the article. 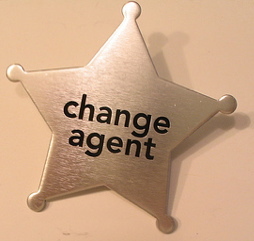 The badge communicates the authority we have to change situations. Thank you Mark! I hoped that it would add to the message! Thank you for the comment! I had the blessed opportunity today 4/6/13, to prepare food bags, packed them, lifted craters for loading, and then go out into the streets to deliver them. We drove to five locations to pray with, then feed the poor/homeless/needy. Surprisingly, it was mostly males. Nonetheless, I thank Father God that I had (another) opportunity to feed His sheep: and it wasn’t a “feel good” thang, rather a heart—do His good pleasure thang. How timely was this message? Wow, how special is that? To go out and be a living expression of God’s love is an awesome thing. Thank you for what you do in His name! Such good message!! Keep serving and teaching the Word!! Amen!!! God consciousness is essential to God centeredness which is essential to submissiveness and obedience to all of God’s Laws. Great Lesson! Thank you Bishop…I like the way you put it! Makes me think of Romans 12:2 “Don’t become like the people of this world. Instead, change the way you think. Then you will always be able to determine what God really wants—what is good, pleasing, and perfect.” (GW). Great translation of that verse…thanks for sharing! Another great message Pastor. Just keep doing what God has blessed you to do, and He will add the increase. Peace be with you! Thank you Pastor! I so appreciate the encouragement and blessing! I pray for you to receive the clarity and the resources to do what He has placed on your heart to do in this season of your assignment! Amen! Thank You Pastor Sebastian! Very gret message! Cant wait to share with our Mens Ministry! You’re so welcome. Please do share it and let me know how it was received and email me as to how things are are going with your ministry. Blessings! Hey Pastor sorry took me so long to get back to you. Most of my email ministry doesnt respond to any of the emails, but I know they all recieve them, and I truly believe God’s Word never returns void! So in my eyes this email minstry is very slow, and stagnant. The funny thing is I created this blog to transition out of the email and run everyhing through the blog, but it didnt catch well with this group. But through God’s Grace He is teaching me how to live in the unseen! It is so hard for me, but I have improved in this area big time! In response to your post, one guy in particular said that he has been asking himself those three questions prior to the email, regarding his work. Thats all he shared but, Praise God, Im sure your post had some type of effect on his heart, mind, or outlook!! Again thank you for all you do Pastor Sebastian! By the way I know your comment said to reply by email but I couldnt find your email on your site so maybe you just meant reply here. You’re so welcome! I want you to know that I appreciate you so very much and honor God for the work He is doing through you. I pray for your strength and fruitfulness. Be strong in the Lord for He will sustain you! Thank you so much Pastor Sebastian! Thank you for those encouraging and comforting words. May God continue to use you as His special instrument for every good work. In Jesus Name, Amen! You’re certainly welcome and thank you for the blessing!